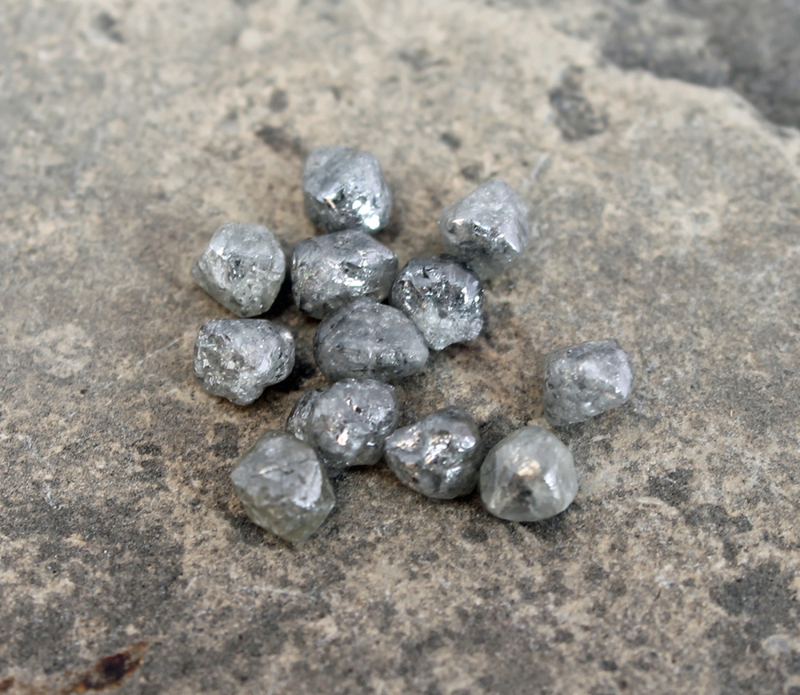 Made to order to your size with one of the raw stone shape silver diamonds in the 2nd picture. 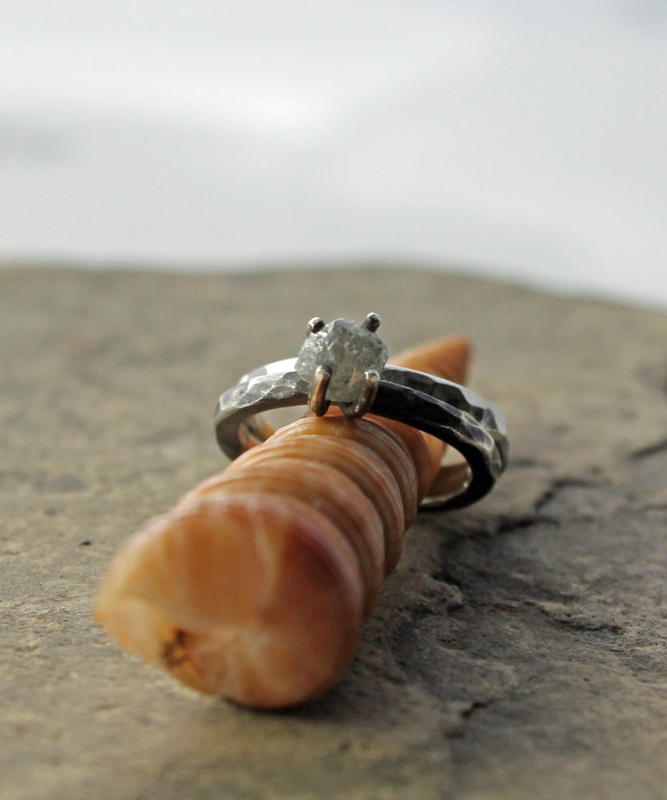 You will receive a rustic and understated raw diamond, hammered sterling silver engagement ring and wedding band set as seen in the first picture. 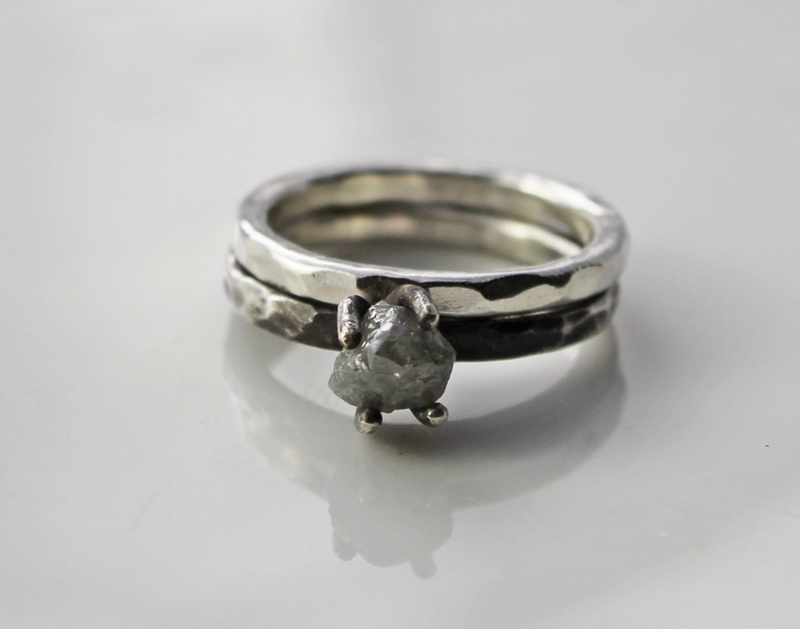 This set will be created for you in the heart of the Spiral River, with a rough diamond that's approximately 1 carat (4.5x.4.5x5mm) set in a claw/prong setting on a 2mm hammered, oxidized and brushed sterling silver ring band. 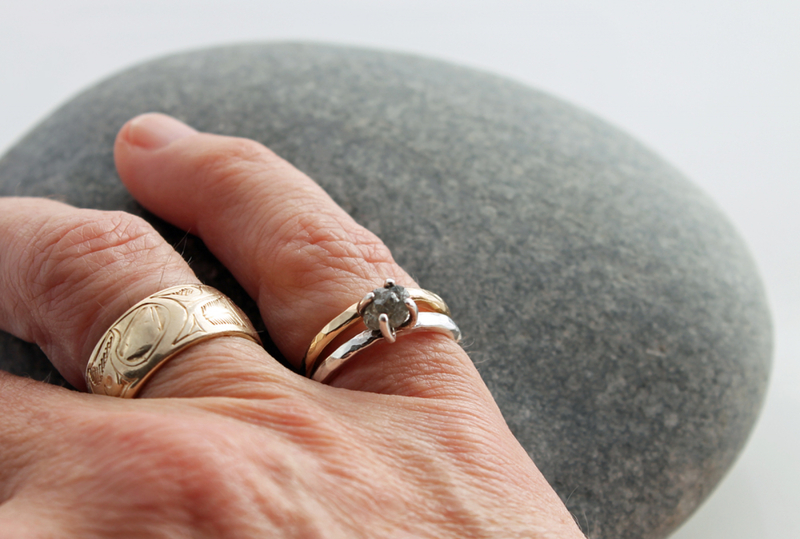 The hammered wedding band will be shiny sterling silver. 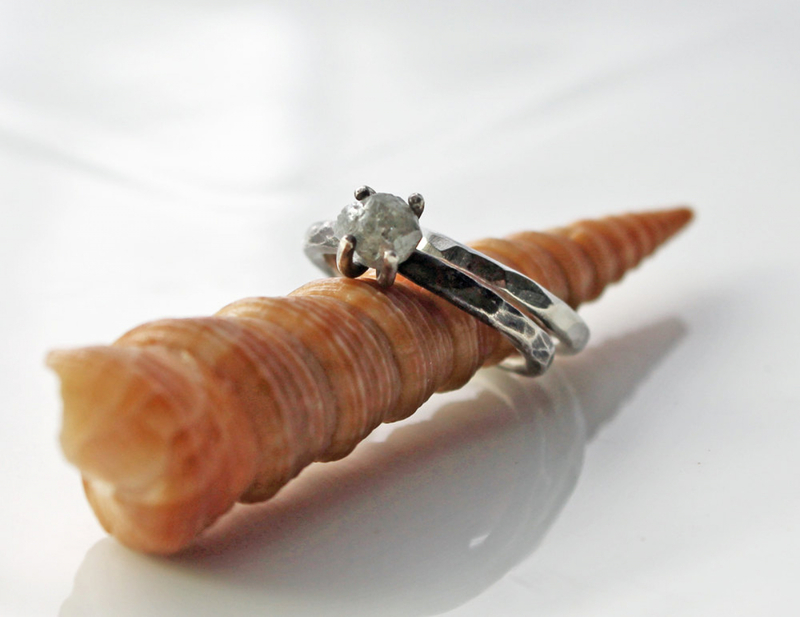 Your diamond ring will come with the oxidized finish, and the wedding band will be shiny silver, unless you specify otherwise when you check out. The black patina on the sterling will gently wear over time and become like your favourite pair of well worn jeans.